David Bobbin is the dedicated customer service and warranty coordinator for Beneteau sailboats at Prestige Yacht Sales. His primary responsibility is to insure customer satisfaction after the sale of new Beneteau sailboat. David works with our customers after buying a new boat to be sure that they are familiar with the systems and equipment when taking delivery of their boat. He is also their primary contact for any questions or warranty issues that may arise. Many years in the marine industry have made David very knowledgeable and skilled. 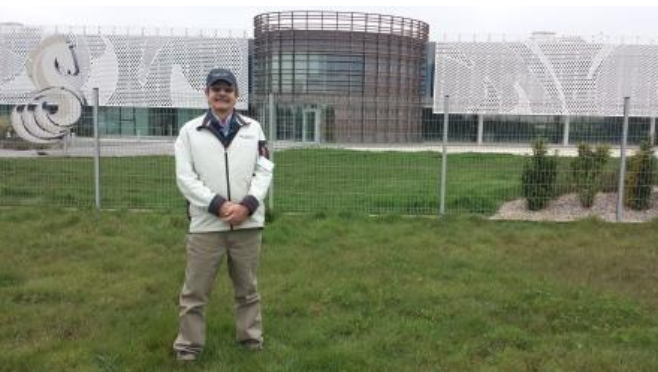 David has attended Beneteau Technical Training in Saint Gilles Croix De Vie, France. The training is held at the Beneteau factory. This very intensive training includes things such as how to commission / how to install / start, trouble shooting, Q & A with experts and hands on workshops on all of the following: • Dock and Go system • Electrical system • Air Conditioning • Vacu- flush • Technical Factory tour • Electronics – trouble shooting, caliber units • Mast, Boom and Rigging • Wood working workshop • Advanced Gelcoat • And More……. David started sailing in his teens, by the time he was 25 he was running a small charter company in the BVI’s. David then spent another 10 years managing bareboat charter operations in Mystic. His experience in the charter industry is where he honed his skills in boat maintenance and customer service. David graduated from the Maine Maritime Academy. From 2001 through 2007, David was the customer service and warranty coordinator for Sailing Specialties. In 2004, Beneteau chose him for their prestigious Top Gun award, recognizing him as one of the top Beneteau service personnel in North America that year. David worked had worked part time for Prestige Yacht Sales for several years and in 2013 Prestige hired him full time.